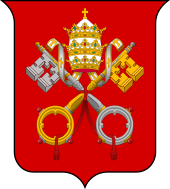 The Pontifical Commission for the State of Vatican City (Italian: Pontificia Commissione per lo Stato della Città del Vaticano, Latin: Pontificia Commissio pro Civitate Vaticana) is the legislative body of Vatican City. It consists of President of the Governatorate of Vatican City State, who is also President of the Pontifical Commission, and six other cardinals appointed by the pope for five-year terms. The Pontifical Commission was created in 1939 by Pius XII. Laws and regulations proposed by the Commission must be submitted to the pope through the Secretariat of State prior to being made public and taking effect. Laws, regulations, and instructions enacted by the Commission are published in the Acta Apostolicae Sedis. In addition to his legislative role, the President of the Governatorate of Vatican City State, who since 1 October 2011 has been Cardinal Giuseppe Bertello, has been delegated executive authority for the Vatican City State by the pope. The Commission is headed by the President of the Pontifical Commission for Vatican City State. As a senior member of the Roman Curia, the President is normally a cardinal of the Catholic Church. He also serves as the head of government of Vatican City, the President of the Governorate of Vatican City State, an office which is distinct from the former title of Governor of Vatican City. In addition to his legislative role, the President is delegated executive authority for Vatican City by the Pope. Administrations and departments of Vatican City's government, including the Corpo della Gendarmeria, the Vatican Observatory, the Vatican Museums, and the Department of Pontifical Villas, which administers Castel Gandolfo, report to the Governorate. During a sede vacante, the term of the president ends, as do most other offices in the Curia. However, the holder of the office prior to the death or resignation of the pope becomes a member of a Commission, with the former Cardinal Secretary of State and the Chamberlain of the Holy Roman Church, that handles some of the functions of the head of state until a new pope can be chosen. ^ a b c Pope John Paul II (26 November 2000). "Fundamental Law of Vatican City State" (PDF). Vatican City State. Archived from the original (PDF) on 26 February 2008. Retrieved 12 August 2007. ^ "Legislative and executive bodies". Vatican City State. Archived from the original on 27 September 2007. Retrieved 12 August 2007. ^ Pope John Paul II (26 November 2000). "Fundamental Law of Vatican City State" (PDF). Archived from the original (PDF) on 26 February 2008. Retrieved 11 October 2007. ^ "Legislative and Executive Bodies". Office of the President of Vatican City State. 2007. Archived from the original on 27 September 2007. Retrieved 11 October 2007. ^ "Administrations and Central Offices". Office of the President of Vatican City State. Archived from the original on 23 October 2007. Retrieved 11 October 2007. ^ Pope John Paul II (22 February 1996). "Universi Dominici Gregis". Retrieved 12 October 2007. ^ "Vatican City State". Vatican City State. Retrieved 4 June 2013.